PAOK added a rookie big man with high upside in the next season’s roster. PAOK announced the deal with rookie big man Malik Pope for the upcoming 2018-19 season. 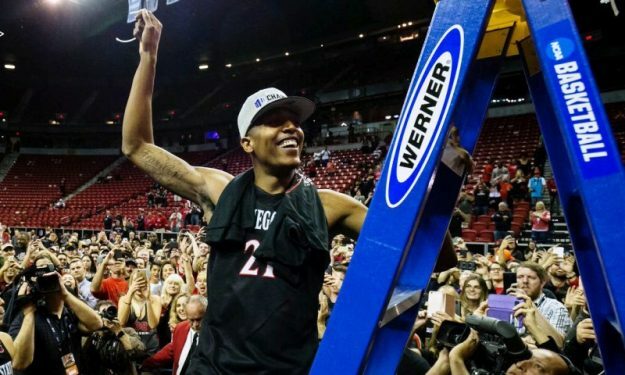 Malik Pope was considered one of the biggest talents of college basketball after completing his first season with San Diego State University. He went undrafted, but the 22-year-old player is still considered a good prospect and he has impressive physical qualities. Pope has a height of 2,08 m. and an even greater wing span, approaching 2,20 meters. Malik Pope was born on July 25, 1996 in Sacramento and he is a product of the San Diego State Aztecs. He will make his professional debut in the Greek league and the Basketball Champions League.